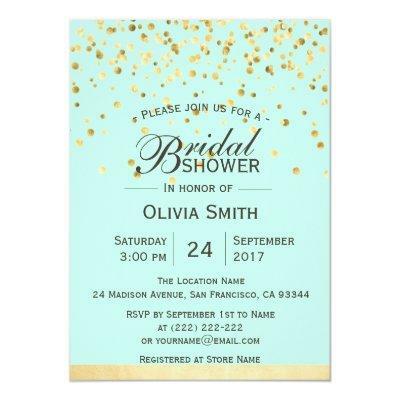 Elegant and unique bridal shower invitation cards. Mint Green background (color can be changed - use customize button) and gold confetti with faux gold foil on bottom. Perfect for for that classy bridal party. Matches any shower theme. Personalized templates so you can edit text font, color and size. Get matching bridal shower favor stickers!